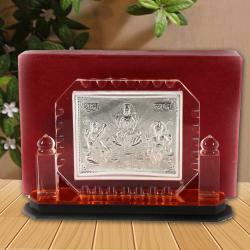 Product Consists : Silver Plated Eight Forms of Shree Lakshmi Frame with Table Stand. 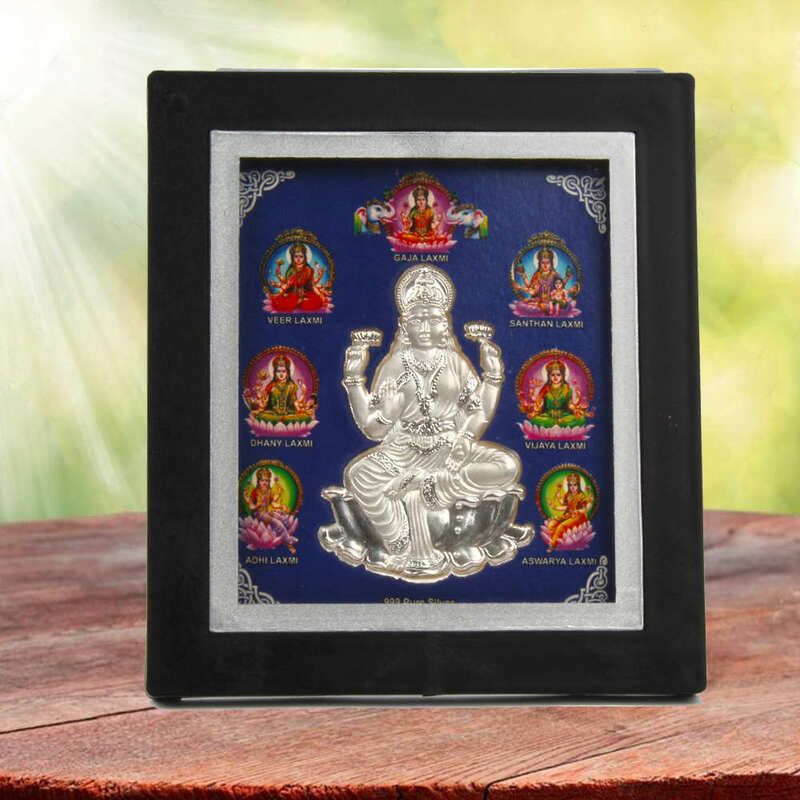 Ashtalaxmi are a group of eight forms of Shri-Lakshmi, who preside over eight sources of wealth, prosperity, good health, knowledge, strength, progeny, and power. 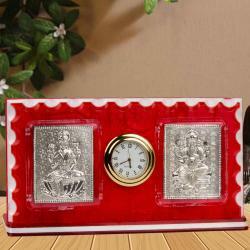 The eight forms of Laxmi are: Adi Lakshmi: incarnation of Lakshmi as daughter of the sage Bhrigu. Dhana Lakshmi: for money and gold. Dhanya Lakshmi: Giver of agricultural wealth. 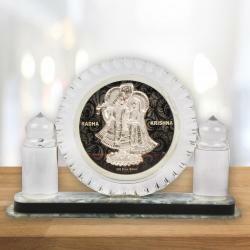 Gaja Lakshmi: Giver of animal wealth, like cattle and elephants. Swami Chidananda interprets Gaja Lakshmi as giver of power of royalty. According to legends, Gaja Lakshmi brought back the wealth lost by Indra (king of demi-gods) from the ocean. Santana Lakshmi: Bestower of offspring Veera Lakshmi: Bestower of valour in battles and courage and strength for overcoming difficulties in life. Vijaya Lakshmi: Giver of victory, not only in battles but also in conquering hurdles in order to beget success. Vidya Lakshmi: the bestower of knowledge of arts and sciences. Invoke the blessings of Ashtalaxmi by installing this photo in your puja altar, prayer room, office cabin or living area. Design: Printed on high quality photo paper with foil finishing. We need one week processing time for this item. 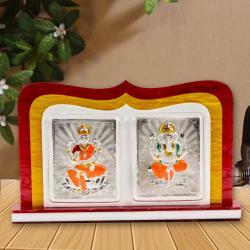 Product Includes : Silver Plated Eight Forms of Shree Lakshmi Frame with Table Stand.